Lindsay Wong writes about her dysfunctional Asian family who blame their woes on ghosts and demons. 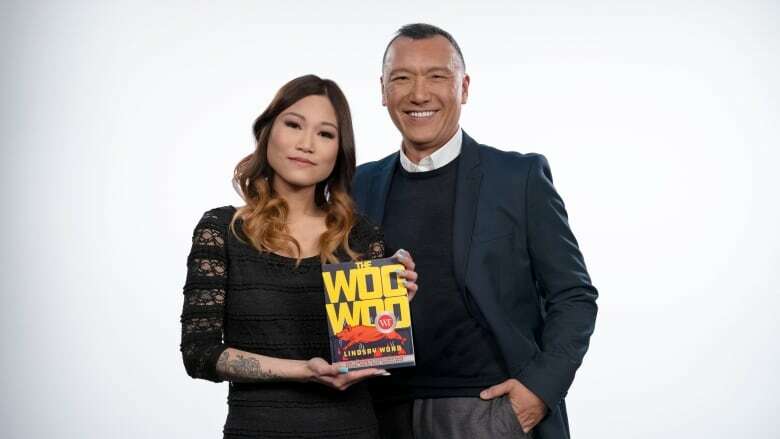 Lindsay Wong's memoir The Woo-Woo will be defended by Joe Zee on Canada Reads 2019. The 2019 debates will take place March 25-28, 2019 and will be hosted by Ali Hassan. Lindsay Wong grew up with a paranoid schizophrenic grandmother and a mother who was deeply afraid of the "woo-woo" — Chinese ghosts who come to visit in times of personal turmoil. From a young age, she witnessed the woo-woo's sinister effects; when she was six, Lindsay and her mother avoided the dead people haunting their house by hiding out in a mall food court, and on a camping trip, in an effort to rid her daughter of demons, her mother tried to light Lindsay's foot on fire. The eccentricities take a dark turn, however, when her aunt, suffering from a psychotic breakdown, holds the city hostage for eight hours when she threatens to jump off a bridge. And when Lindsay starts to experience symptoms of the woo-woo herself, she wonders whether she will suffer the same fate as her family. "I think it's an important story because of the stigma and shame of mental illness. One out of five Canadians have mental illness or know someone who has mental illness. I hope everyone can relate to this idea that mental illness is not shameful or taboo or a stigma, especially Chinese Canadians. We have a private culture where we don't share our secrets and we don't trust outsiders, necessarily. I'm hoping that people will be able to talk openly about illness and things that are affecting them. "I know I have a lot of Chinese Canadian friends who are my age and they are terrified of telling their parents that they're seeing a therapist or they're depressed because of the shame and the ridicule that would come with it. I've always been a very honest person in that sense. When I'm writing, I feel like nothing is sacred." Read more in her interview with CBC Books. I was twenty-two years old and had been on my own in New York City for four months, a good 2,000 miles away from my crazy Chinese family, who were still exorcising fake demons — the Woo-Woo — they called them, from anyone whose opinion they flagrantly disliked. That had included me, and it looked like the Woo-Woo had caught me anyway. This was normal in our family, who believed that mental illness, or any psychological disturbance, was caused by demonic possession. The Woo-Woo ghosts were sometimes responsible for cancers, unexplainable viruses, and various skin afflictions like mild psoriasis. Growing up, my superstitious mother always believed that going to the bathroom alone could lead to possession, whereas my father said any emotional weakness would bring on symptoms not unlike those dramatically thwarted in The Exorcist. "Lindsay, you cry and your eyeball will fall off," he would explain seriously, while clutching his head like he was having a moderate seizure. "Ghosts use any opportunity to possess you, okay? Don't be weak, or it's game over for you." From The Woo-Woo by Lindsay Wong ©2018. Published by Arsenal Pulp Press. "Lindsay Wong's darkly comedic memoir will break your heart. I lived her words and her shame dealing with her Chinese Canadian family's grapple with mental health, their dark days explained away as a superstition beyond their control. And with The Woo-Woo, Lindsay is taking that control back." Read more in Joe Zee's interviews with CBC. Joe Zee is a resident judge on the television show Stitched in Canada, has appeared on ABC's Good Morning America and their annual Oscars pre-show, NBC's Today, CNN, The Oprah Winfrey Show and was previously the special fashion correspondent for Entertainment Tonight. He's also known for the seven plus years he spent as creative director at Elle magazine. In 2018 he launched the original Netflix documentary series 7 Days Out, as its executive producer.